Here’s a line from a Box Office Mojo article that caught my eye: “Trainwreck, at 2 hours, 5 mins, comes closer to [Judd Apatow’s] leaner hits, Knocked Up (2 hrs., 9 mins) and The 40-Year-Old Virgin (1 hr., 56 mins), than his longer movies, Funny People (2 hr., 16 mins) and This Is 40 (2 hr., 13 mins).” Two hours and five minutes is now considered lean? Given this slant, I have to assume that around the Apatow household, the 4-hour, 40-minute Shoah is considered TV-sitcom length while the 15-hour, 40-minute Berlin Alexanderplatz passes for a comfortable feature-film length. At any rate, the real reason Trainwreck comes closer to Knocked Up and The 40-Year-Old Virgin is because, like those films, it’s funny and engaging and well worth seeing, conditions that did not apply to Apatow’s overlong – and long-winded – disappointments Funny People and This Is 40. 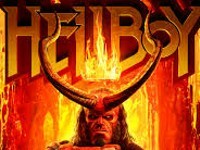 Certainly, this new picture could stand being 10 or 15 minutes shorter – its length is particularly felt toward the end, when it begins to feel like it’s going to be dragged out as interminably as a Peter Jackson Middle-earth saga. But any last-act hemming and hawing is easily negated by the majority of the picture, which serves as the cinematic coming-out party for comedian Amy Schumer. A hit on television and on the stand-up stage, Schumer vies for big-screen respectability by both scripting and starring in this picture about a young woman named (natch) Amy, who as a child was told by her horndog dad (Colin Quinn) that monogamy is an impossibility. 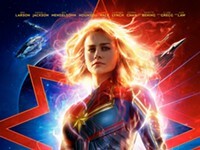 Amy’s sister Kim (Brie Larson) was given the same speech but ignored it, and now has a husband and stepson; Amy, on the other hand, embraced her father’s dubious wisdom and has spent her adult life committed to a series of one-night stands. It’s a story assignment for S’Nuff that leads to her meeting Aaron Conners (Bill Hader), a sports doctor whose patients include NBA superstar LeBron James (playing himself in a sizable supporting role). Amy and Aaron hit it off, and for the first time in her life, she’s forced to question her dad’s outlook on life and love. 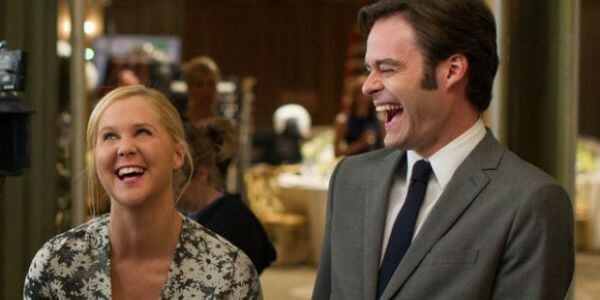 Like all Apatow efforts, Trainwreck offers a mix of the silly and the sincere, with most of the best comic bits packed into the first half. The second part turns more serious and, consequently, more familiar, which is largely why its length begins to make its presence known. But Schumer is terrific throughout, as adept at her dramatic scenes opposite Larson (a calming presence as her sensible sibling) as when flashing her sizable comedic chops. Her long-term prospects as an A-list movie star have yet to be determined, but she’s off to a roaring start, barreling across the screen like a runaway train. Trainwreck is not showing in any theaters in the area.